Kelley With Love has officially turned one! I can't believe how quickly time flew by. It's been a true pleasure making something I could only envision a reality. Since I'm in the process of planning a blogiversary celebration I thought it would be fun to share some fun things with you that you can do to celebrate your blogiversary. Check them out below. This goes without saying right? Celebrating your Blogiversary with a fun photoshoot is a fun way to create memories for yourself and your readers. It's a way to visibly remember where you've been and where your going. If you decide to do a photoshoot go all out! Make sure to capture the feeling of excitement, pride, and love you felt in that moment. Another really great way to celebrate your blogiversary is to recognize your readers! Without them you wouldn't be the success that you are so let them know just how much you appreciate them. Speaking of recognizing your readers...create something special for your readers as a sign of your appreciation. Opt ins are always a good idea, but only if they're valuable! Along the way I'm sure you've connected with new blog friends and collaborated with supporters. There's no better way to thank them then through a thank you note! Get some pretty stationary, some stamps, and send a little thank you card in the mail! Let's not forget you! You deserve a pat on the back! Make sure you take time to really assess how far you've come. You should really be proud of yourself. I definitely think a cupcake or two is in order! Once you're done celebrating set some new goals & get back to work! 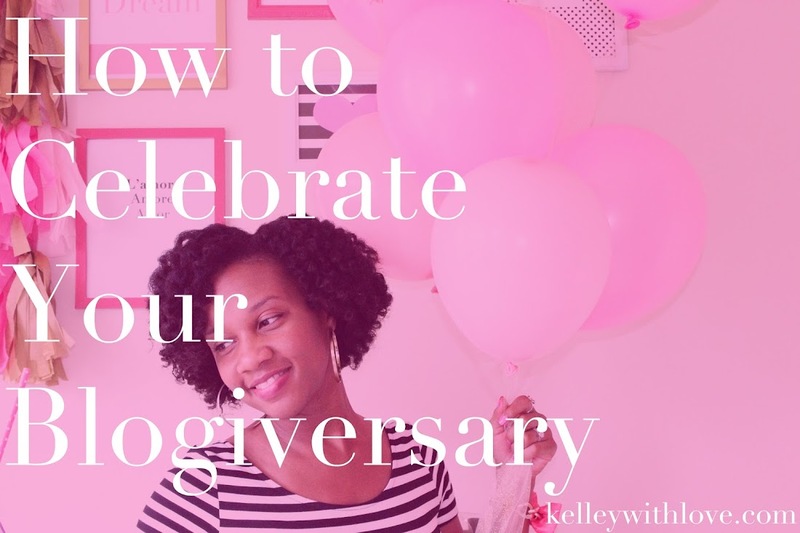 If you're celebrating a blogiversary...congrats! If you're not there yet, keep going! Remember to sign up for some new upcoming goodies that you can only get if you're on the list! These are such great suggestions. I think I am going to create an opt in for my blog! Great tips! Mine is next year so I'll be doing this!